The New Tropicana Las Vegas is now the home to “Raiding The Rock Vault”. The recently remodelled Tropicana has paid host to Raiding The Rock Vault since 1st November 2014 after moving from the Westgate Las Vegas (the former Las Vegas Hilton). Raiding The Rock Vault is the ultimate classic rock concert experience, which was named Readers’ Choice Best of Las Vegas 2014 by the Las Vegas Review-Journal and has consistently been ranked the No. 1 show in Las Vegas on TripAdvisor. 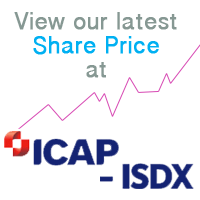 Papa Entertainment Plc (ISDX: PAPP), a specialist UK group focused on the music and media industries, today announces its final audited results for the year ended 31 March 2014 (the “Period”). Papa Entertainment Plc (ISDX: PAPP), a specialist UK group focused on the music and media industries, announces that its issued share capital as at the date of this announcement consists of 72,556,290 ordinary shares of £0.01 each in the Company each with one voting right (“Ordinary Shares”). The Company does not hold any Ordinary Shares in treasury. Therefore the total number of Ordinary Shares and voting rights in the Company is 72,556,290. Papa Entertainment Plc (ISDX: PAPP), the specialist UK group focused on the music and media industries, announces that Andrew Morley has resigned from his role as a non-executive director of the Company with immediate effect. 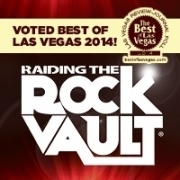 RAIDING THE ROCK VAULT at the LVH – Las Vegas Hotel & Casino – “Classic Rock By Those Who Rocked It!” – was just voted ‘Best Musical’ in the 2014 Las Vegas Review-Journal Best of Las Vegas Readers’ Poll. The voting is conducted each year by the city’s largest newspaper to find out who their readers think are the best in local entertainment, dining, shopping and more.